I really enjoyed Steins;Gate as well. 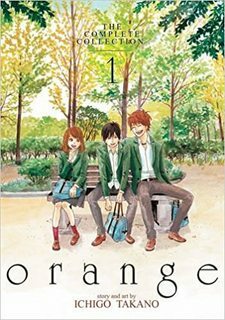 The story is just well thought out and interesting and I love the interactions between the characters. A really well put together show. But really, it has some interesting aspects to it such as time travel and how they deal with it rather than, let’s say, Back to the Future (my favorite movie series ever). I’ve watched clips here and there and it looks like an enjoyable experience. It’s at the top of my “must watch” list. Whoa that pikachu tail thing just gave me the worst Mandela Effect I’ve experienced in a while. But I do love me some Steins;Gate! I wish I could get access to the Steins;Gate0 VN so I could continue the story! Did you already saw the movie? Wait the new Pokemon movie or Steins;Gate? I also only saw the sub, but normally I don’t like english dubbed anime Xp I’m really looking forward for 0 too!!! 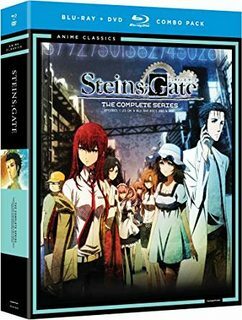 I’m normally in the subs fandom, but I think Steins;Gate is one of those anime where the dub really shines, mostly thanks to J. Michael Tatum and Trina Nishimura. Idk I feel like Steins;Gate is one of those series that’s worth trying both ways. I’ve watched it both and honestly feel the dub is stronger if English is your first language. Of course I feel like J. Michael Tatum has been going out of his way to caress my eardrums like Steven Blum did in Cowboy Bebop, so there’s that. Never saw someone talking about dub with such passion, so I have to give it a try! Excellent title. Steins;Gate has a well crafted story and is the single best example of how to properly do time travel in the visual medium. Can easily see why this is your number two!